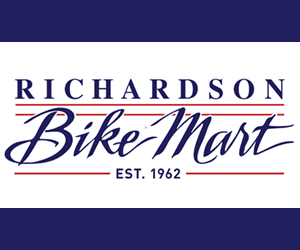 What’s the best way to help Texas decision-makers and community leaders better understand bicycling and walking issues? Take them on a bike ride! That’s exactly what BikeTexas does through its VIP Bike Rides. We invite mayors, state representatives, police chiefs, transportation engineers, community leaders, health advocates, and many others to see their city on a bike. After a few miles in the saddle, they can then take their experiences back to their offices to advocate for real change. 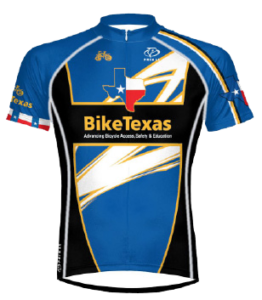 BikeTexas provides participants with a comfortable, custom-fit ride on one of our fleet of around 150 TREK and Fuji hybrid bikes. The leisurely, fully-supported routes range from three to ten miles, and include plenty of stops for “show and tell” and to allow participants to gather and rest up. BikeTexas staff discuss urban infill and hike and bike paths with participants while they ride. On other routes, they cover the technical aspects of bicycle lanes and other infrastructure. Some rides are purely recreational. Texas Senator Rodney Ellis and other State Legislators at the National Legislative Summit of the National Conference of State Legislators (NCSL) host our most popular VIP ride: the annual Bipartisan Bike Ride. This “invitation only” ride is coordinated by BikeTexas staff and local bicycle advocates on an early summer morning before the busy NCSL program schedule begins. These rides have grown to over one hundred state legislators, their staff, and their families. BikeTexas has also conducted rides for local elected officials and their guests, for advocacy groups that promote the physical well being of children, and other groups. A professional photographer is always present for a group photo at a local landmark and other shots along the way that provide participants with instant memories of their outing. Guest riders range from highly experienced to folks who literally have not ridden a bicycle since childhood. BikeTexas staff and local bike advocates are there to coach and encourage these “returnees.” Some put in a visible focused effort to complete the mileage. The pride that they feel covering a distance of ten miles shows in their exuberant faces, and they often vow to get back on a bike as a result of their experience. That’s the kind of success that makes all the work that goes into the VIP Bike Rides worth it.